When I went on my very first outing with CTO, I witnessed kids around a campfire that had a desire to learn, a desire to be loved, and most importantly a desire to be forgiven. I saw the Holy Spirit work in the lives of strangers, who were courageous and vulnerable, willing to share personal stories of their lives to help the person next to them get better. I witnessed the importance of our hunting and fishing heritage being shared with kids who would never have an opportunity to get outdoors on their own. I listened to biblical principles, the foundation of the Bible being used as examples for these kids to model and witnessed the importance of sharing our faith in Jesus. Little did I know that 10 years later I would be serving God through this organization. It was never in my plans to venture into ministry, work for a non-profit organization, or even think of having to raise support to grow this ministry. I had NO idea of what God was up to, but I made myself available and trusted Him. As this year comes to a close, I am in awe of the work God has done and continues to do through CTO. During 2015 CTO Texas gained 130 members across three chapters that offered nearly 700 opportunities for youth to be exposed to Christ through our regular sportsmen skills nights, family events, community service projects, outings, summer camps and other outreach. Currently, we have three new chapters preparing for their kickoffs, which will open the doors for more kids to be exposed to Christ’s love, forgiveness and direction. In order to build on this growth, we need funding to reach our annual budget of $250,000, which includes all our programs like outings and summer camps. This year I’ve made a personal commitment to be better about asking for your help. So I ask, will you help us? For those committing to $50 or more per month, you will receive a custom engraved CTO "Trapper" pocket knife. More importantly, you become part of our Team to help guide the next generation to Christ through the outdoors. I would like to ask you to pray about tithing monthly to Cross Trail Outfitters of Texas or even making a one-time donation. Our continued development and growth depends on it. There is no CTO without your help. Thanks for your continued support. Another amazing CTO Outing weekend with hosted by Dennis Ray Ashley and the Ashley family at the Plomero Ranch. The deer were laid up with the rain and moon, but the hogs were on the move! What an experience for these young men as one boy harvested his first deer, another his first javalina first and another his first hog. Along with the hunting, the crew experienced great fishing, fun and fellowship to boot. The boys honed their rifle skills with a suppressed .223, which made for some great plinking! The campfire theme was " What does it mean to be a Spiritual Warrior." These kids were able to share an experience of a lifetime, while hearing the importance of standing strong in our Faith for Jesus Christ! Thank you Dennis, Ronnie, Travis and Cody for a great weekend! We have more outings scheduled for the next few months, including deer and duck hunts. Check out the calendar and get plugged in! CTO Bulverde held its first Big Game Banquet on October 17, and it was a great success in helping CTO meet its mission of guiding the next generation to Christ through the outdoors. 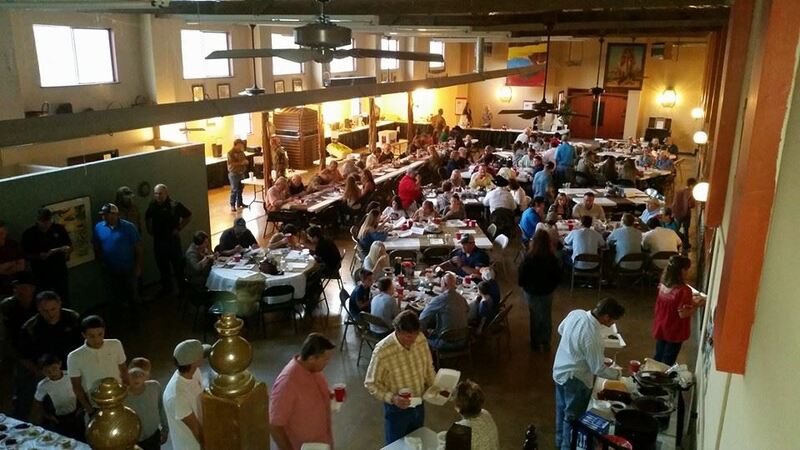 A little more than 140 people attended this fun event with a wild game dinner prepared by great CTO volunteers. We want to thank our Gun level sponsor, Gordon McCleary, who also provided yummy desserts from Granny D's in Canyon Lake. In addition, we appreciate these Heritage Level Sponsors, Dave Frazier family and Pat Bolton, not to mention all the families who came out to support CTO. We look forward to next year's event. If you want to learn more about CTO Bulverde, please attend an upcoming Sportsmen's Night and learn about getting kids involved. Contact CTO Bulverde Outfitter Todd Slater for more information 830-388-1734 or email tslater@teamcto.org. Also, The Blynd is offering CTO a 10% discount on merchandise, just use the code TEAMCTO to get the discount. 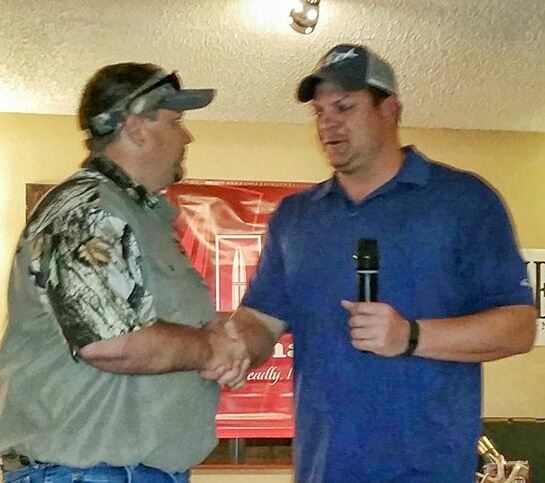 During the CTO Bulverde Big Game Banquet, Meritage Cares presented a $2,500 donation to CTO Texas. The mission of Meritage Cares is to enrich lives in the metropolitan areas Meritage Homes does business by providing assistance to eligible charitable organizations for the support and well being of children, families, military veterans, and other charitable causes approved by the Foundation’s selection committee. The team at Cross Trail Outfitters is appreciative of Meritage Care's commitment youth in our community and their selection and generous support of CTO Texas. If you'd like to help CTO serve more youth, consider becoming a Friend of CTO. Learn more and help us meet our target. Cross Trail Outfitters of Texas just completed our first youth deer hunt of the 2015 season at the T9E Ranch in Pearsall, TX. Thank you to Steve & Sally Grinnell, along with ranch manager Talbert White for the great hospitality and fellowship! Our campfire theme was what does it take to be a Warrior of our Faith and how we can better equip ourselves foe the battle ahead. These 8 young men harvested 9 does and 3 hogs. Twelve shots, 12 animals in the freezer, thanks to the CTO "Tic-Tac-Toe" shot placement training. These kids have definitely set the bar. CTO Texas is blessed to be in a season of growth as we add new chapters and kids. During this growth phase, we want all kids involved in CTO to have a chance to participate in hunting outings, so we are asking parents to help. First, registration for outings will now open two weeks prior to the event. This will give parents, guardians and kids time to see the calendar and a chance to register when it opens up. 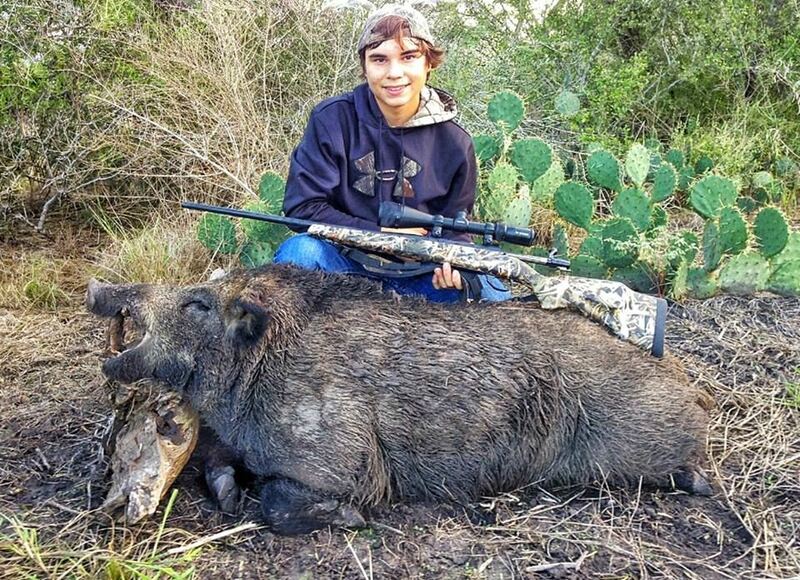 Second, if your child has been on an big-game outing (deer, hogs, exotics) within the last 30 days, we ask you to put them on a waiting list. That waiting list link will be in the event description on the calendar. If the outing does not fill up with new registrants, then we will fill it with kids from the waiting list and contact you if a spot is open. In order to help families new to CTO, we've create a classification system to help parents, guardians and youth identify the best outings for kids. Rather than an age based system, we are classifying hunts based on hunting and CTO skill levels. This information will be noted in the event description on the calendar. 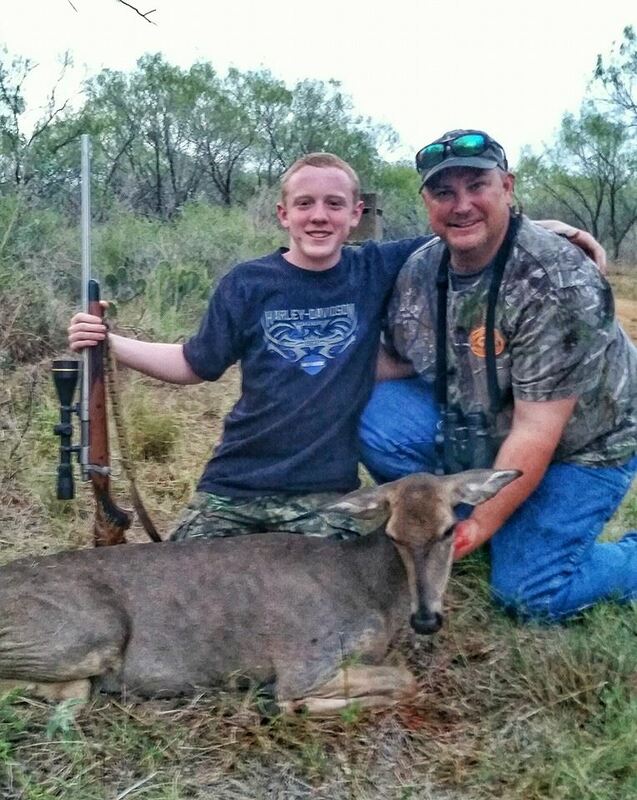 CTO First Hunts: For beginning youth hunters who have not harvested a big game animal, never been hunting or participated on a CTO big game outing. CTO Intermediate Hunts: For youth hunters that have harvested a big game animal or may have experienced an opportunity to hunt. CTO Veteran Youth Hunts: For youth hunters who are actively involved in CTO. This includes those that regularly attend local chapter events, participate on outings and summer camp, help with CTO outreach opportunities, and volunteer for CTO community service projects. Many times, these hunts will be invitation only from the local outfitter. We appreciate your understanding and hope this clarifies the outing registration process for those new to CTO. If you have any question, contact your local outfitter. 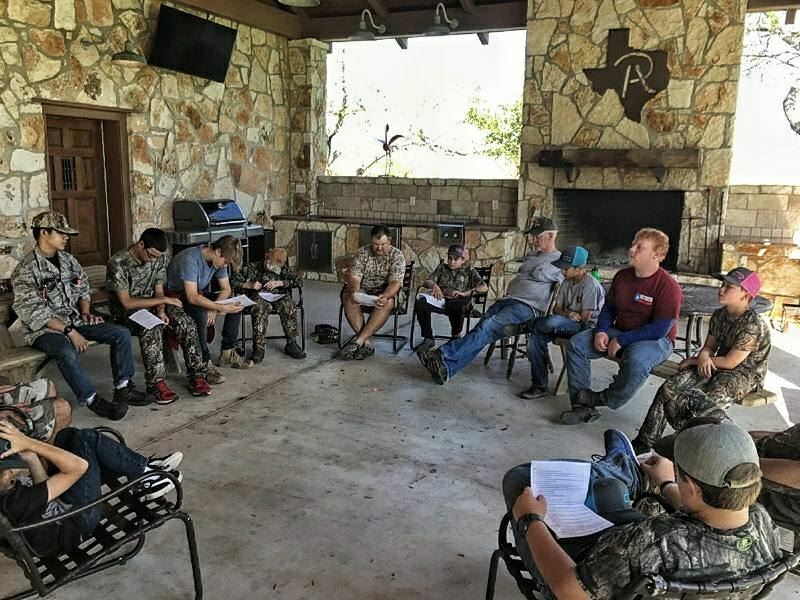 Help CTO Texas Hit the Mark, Become a "Friend of CTO"
During the 2014-2015 hunting season, CTO Texas offered more than 165 different hunting opportunities for youth and hosted 67 young men at our 6 hunting and fishing summer camps where 21 kids made decisions for Christ. For the new hunting season, our Team is preparing to increase these opportunities as more landowners open their gates and as more CTO chapters develop to serve more youth. Currently active chapters are established in Bulverde, Canyon Lake, and San Antonio with chapter teams forming in Boerne, Northeast San Antonio, New Braunfels, and Wilson County. The goal is to raise $100,000 through this campaign over the next 12 months. That will help with sustaining funds so that our Outfitters, volunteers, and staff can focus on ministry and mentoring kids as we grow across Texas. By becoming a Friend of CTO, you commit to making a monthly donation that will help with all our CTO programs (camps, outings, chapter development) and make a positive difference in our next generation. 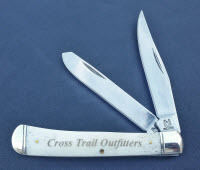 For those committing to $50 or more per month, you will receive a custom engraved CTO "Trapper" pocket knife. More importantly, you become part of our Team to help guide the next generation to Christ through the outdoors. Help us hit the mark...let's get this done! TexStar National Bank is a locally owned community bank providing financial solutions to businesses, charitable organizations and individuals. Unlike large nationwide banks, TexStar remains rooted in the community building relationships with customers and honoring its responsibility to give back to the community, through programs like the COVENANT PROGRAM. Cross Trail Outfitters of Texas is now partnering with TexStar National Bank's Covenant Program, which offers opportunities and benefits for all involved. All members, donors, partners, staff or any other relation of Cross Trail Outfitters of Texas are invited to participate in THE COVENANT PROGRAM. When you choose to participate in the program, TexStar Bank will help Cross Trail Outfitters of Texas better manage its resources and will also make a financial contribution to the organization at the end of each year. All members, donors, partners, staff or any other relation, who become TexStar Bank customers via personal, or business accounts, qualify for a special package of services to meet their banking, savings, lending, and other financial needs. As part of the covenant program you are also eligible for a FREE PERSONAL CHECKING ACCOUNT and other standard TexStar Bank benefits. Also, business owners have an added opportunity for business loans from a Preferred SBA Lender. TexStar Bank is also equipped for remote capturing, electronic tithing and giving through credit cards. As an extra added benefit, we will include your deposits with your organizations deposits when we calculate our year end percentage contribution to Cross Trail Outfitters of Texas. This is a great way for CTO to generate revenue. What a way to give back! TexStar Bank is proud to earn your business. We believe in the strong values of serving the community and operating with financial wisdom, and we’ve built our company on these very ideas. When you bank with us, we’re committed to taking care of you and the members of your organization as part of our growing banking family. Everyone has to bank somewhere. Why not bank where your deposits will make a financial impact for Cross Trail Outfitters of Texas. The reward is great. The more that you put into your account; the more that we give back in to CTO in donations. Let us help you build a stronger foundation for CTO.